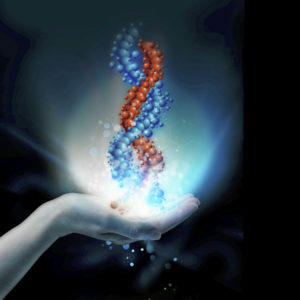 Want to know how many of your DNA strands are realigned, reconnected and activated? Want to know what emotional blocks stand in the way of your full 12-strand connection and how to clear them? I will use my in-depth understanding of multidimensional consciousness and DNA Recoding to assist you in working with the DNA Recoding Chart to determine where you are in recoding. I will also assist you in learning to effectively use the 7 Keys of Compassion, the multidimensional tools that enable you to clear blocks and complete Accelerated DNA Recoding. DNA Recoding becomes simple and uncomplicated once you know how the process works. If you just want to ask how to work the chart, have the DNA Recoding Chart in front of you at the time of the session. If you want to have me check your DNA Chart, fill out a chart and fax or mail it to me prior to the session. In either case, have that chart in front of you when the session begins. Also, have any questions regarding the different strands and glands written down and ready. Note: The DNA Chart can be purchased individually. Over and above the standard Return & Cancellation Policy, there is a 48-hour cancellation period required on all sessions. “I have been in the active process of accelerated recoding for less than 2 months now, and needless to say things are a chagin’. Outgrew my last sales oriented job in 2 months — that’s a record breaker for me! Now I’m moving on to other fields of interest, getting out of the office environment-balancing. relationships with loved ones–those who play the darkest roles are changin’ for the better. “Just a little update: after my DNA recoding review session with Jelaila, I went back and re-did my chart asking for the information from the cellular level (NOT the intellectual level) as Jelaila suggested. You were right; a lot of the numbers were considerably lower and therefore much more consistent with my actual experience (… although I am quite healthy, I’m not THAT connected or else I would be able to see or hear or sense more than I do.) Two days after I completed the chart with the ‘real’ numbers I was communicating through dowsing with my Soul and got the distinct message to just stop (for me that’s when the pendulum just keeps going counter-clockwise) so I stopped and just sat very still. For the next half-hour I swear the genetics engineer was working on me like in Star Trek (TNG) when Geordy is working on Data with all his little screwdrivers! Many of the numbers on the chart (especially the lowest one) were increased by 50%: it was obviously a “working” session. Outwardly, I don’t perceive any specific changes, but the experience was very definite. That was about 3 weeks ago and I haven’t felt inclined to re-check the numbers yet. I know the suggestion was to wait even 2 to 3 months.